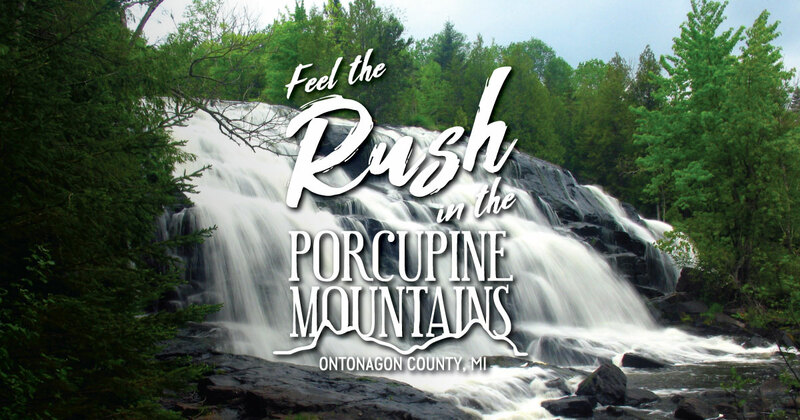 Sign up for the Porcupine Mountains E-newsletter! Located on the border of Ontonagon and Gogebic counties, this short, rarely visited waterfall is located where Brush Lake empties into Sucker Creek. Explore the Porkies! Enter to win lodging and a state park pass to see our rushing spring waterfalls.